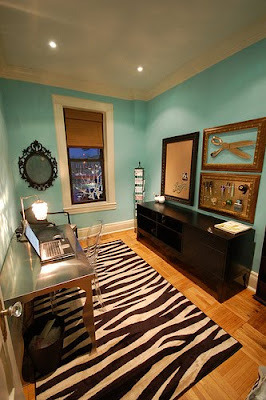 Simply Southern Girl: Who said an office has to be borning?? Who said an office has to be borning?? I came across the attached images while "blog surfing" a while back and now for the life of me I cannot remember where?? 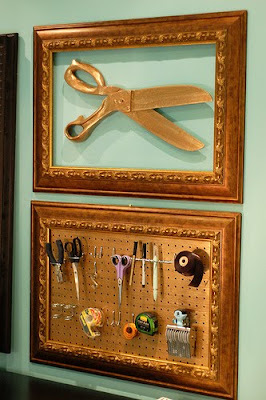 (I apologize for not giving credit where it is do) With that being I fell in love with the office/craft area.. and made special note of the framed peg board used to house crafting supplies.. I must share that this weekend I plan to finish up my lyre chairs (all that is left is covering the seats) and get started on the mirroring of my new office desks. So stay tuned for pictures of those works in progress..
What is your next project? ?